Bring China's Beloved Mansion Home to Your Collection! Evolving from a humble family home to a vast residence of nearly 170 buildings over the course of two millennia, the Kong Family Mansion in China's Qufu City was home to the direct descendants of revered teacher and philosopher Confucius. Maintained and rebuilt from dynasty to dynasty, today the mansion is a museum and UNESCO World Heritage Cultural Site. 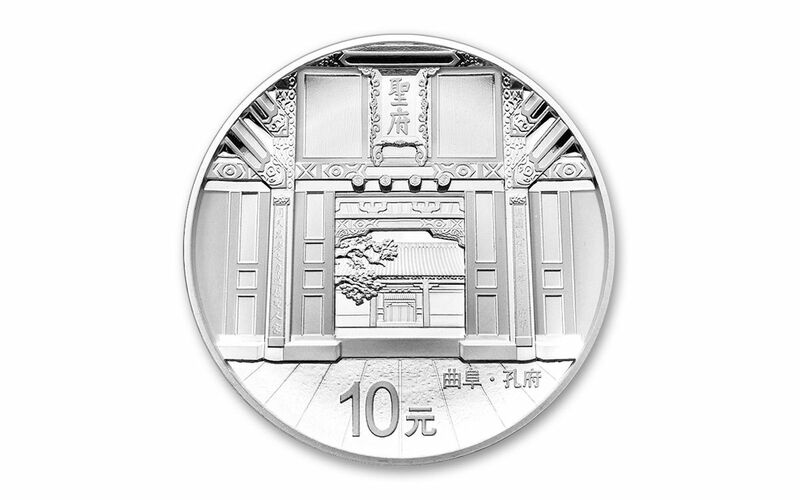 And now, thanks to the China Mint, the main gate to this beautiful mansion is further immortalized in silver! A GRAND ENTRANCE, AN INTRICATE DESIGN -- Branching out from a single tablet that translates to "Holy Mansion", the Kong Family Mansion's Main Gate has greeted visitors and residents for centuries. It's this same gate that serves as the centerpiece of this coin's one-year-only design, featuring elaborate details and breathtaking visual depth. 30 GRAMS OF PROOF-MINTED SILVER -- Each gorgeous proof begins as a planchet of 99.9% pure silver, weighing in at 30 grams. 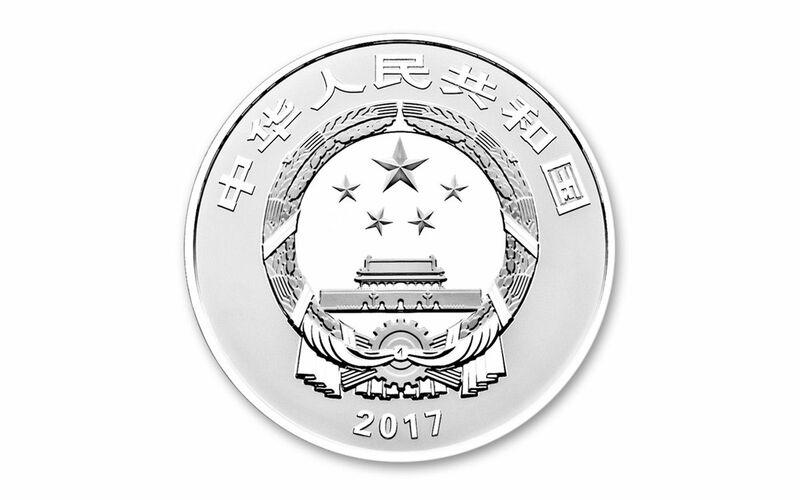 Then, the China Mint's experienced craftspeople use polished dies and multiple strikes to produce proofs with sharp details and mirror-like fields. 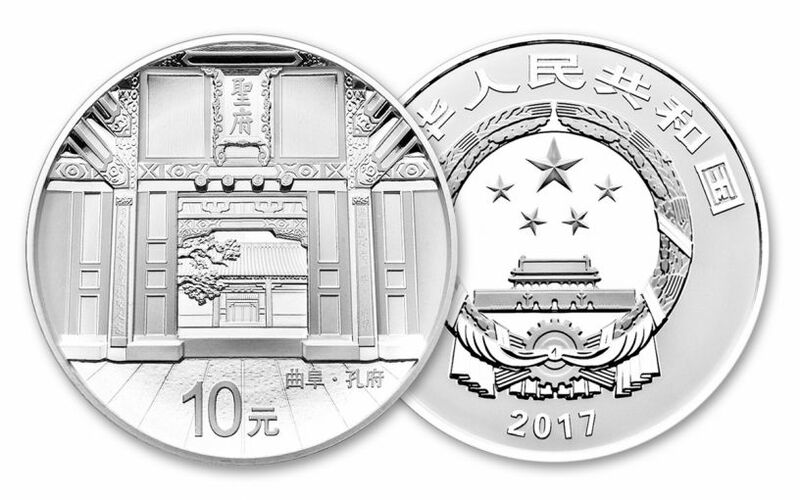 CHINA LEGAL TENDER -- Each 2017 Silver Kong Family Mansion Proof is 10 yuan China legal tender, a fact reflected on the coin's reverse along with an inscription that translates to "Kong Family Mansion, Qufu." On the other side, you'll find the national emblem of the People's Republic of China. ORIGINAL CHINA MINT PACKAGING -- Your proof will arrive to you in its original China Mint-branded packaging along with a numbered certificate of authenticity. LIMITED MINTAGE -- Only 50,000 of these 2017 Silver Kong Family Mansion Proofs will be produced by the China Mint for collectors worldwide! As the market for precious metal commemoratives heats up inside China's borders, opportunities to secure proofs like these are becoming scarcer. Don't miss out -- order your 2017 30 Gram Silver Kong Family Mansion Proofs today!